There was no stopping Rollz Royce on Saturday, when he out-paced the Bonanza Open Classic field with a 227-point win, as the last of 15 finalists to work. The 5-year Dual Smart Rey son’s rider Beau Galyean was also in high gear, claiming three out the top four Classic places, worth a total of $32,168. Rollz Royce’s winner’s share earned $14,622 for owner Thomas Guinn, Philadelphia, Miss. Six-year-old Cinca Im Hot, a Spots Hot daughter shown by Jesse Lennox for Rocking P Ranch LLC, Forth Worth, Tex., scored 223 points to earn the Classic reserve championship and $10,444. Lennox also showed the 5-year-old Metallic Cat daughter Summer Shandy $41,462, owned by Rocking P Ranch, to score 218 points and tie for fifth place with 2018 NCHA Open Horse of the Year Cool N Hot, sired by Hottish, and owned and shown by Kobie Wood. The Bonanza Classic is the fifth major finals win for Rollz Royce $175,204. In addition, he is a three-time reserve champion, which gives him a record of eight wins and reserves out of 11 working finals. Although 227 points is a record for him, he won each of his four other championships with 225 points. Cinca Im Hot $165,528 includes the 2017 Breeders Invitational Open championship among her 11 major limited event finals, all performed under Jesse Lennox. Her dam, Cinca De Maya, by Dual Rey, is a full sister to Lil Rattler $338,873 and Button Down Supercat $285,048, out of 2005 NCHA Futurity Open champion Highbrow Supercat $364,690. 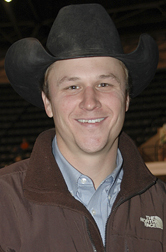 Third-placed (220.5 points) Lou Lou Louise $123,735, shown by Beau Galyean for Barwick/Galyean, placed ninth in the 2016 NCHA Futurity Open with Matt Miller and was an open finalist in four 2017 major events, including the NCHA Super Stakes and Derby. The 6-year-old Dual Smart Rey daughter came into the Bonanza after placing fifth with Galyean in the Ike Hamilton Classic. Fourth-placed (220 points) Rose Colored Rey $105,676, a 6-year-old Dual Rey daughter shown by Galyean for Ellen Carter, Jackson, Wyo., has been an open finalist in eight major events, including the 2016 NCHA Futurity. Earlier this year, she placed fourth with Galyean in the Abilene Spectacular Classic.